While any old shirt might do for playing sports or working out, athletic shorts are a must have for comfort and full-range of motion. It’s a little difficult to get the most out of your game, if you are wearing stiff and restrictive jeans or even jean shorts. 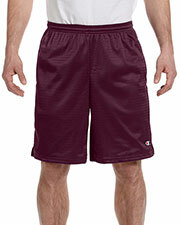 Gotapparel.com provides several name brand athletic shorts options at budget friendly prices. With a name brand like Champion, you can be sure you are buying high quality athletic shorts designed especially for playing hard. 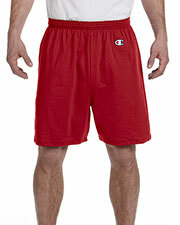 Our cheap Champion athletic shorts come several color options, fabric, and styles to meet whatever the needs of your preferred sport or workout needs. 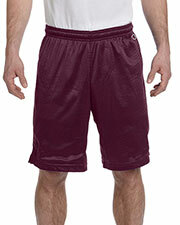 Low priced Champion athletic shorts come in a variety of style options, such as gym shorts, long mesh, lacrosse mesh, and regular mesh shorts in men’s and women’s sizes. Whether you are outfitting a team or buying just for yourself, you are sure to find a pair or 10 of Champion athletic shorts to meet your needs. These affordable Champion athletic shorts are the perfect match with our other Champion sportswear like Champion t-shirts and Champion sweatshirts. 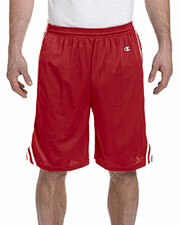 Complete your athletic wear gear with headwear, athletic wear, socks, duffel bags, and other accessories.